One of the top health problems my patients tell me every day is about is fatigue or extremely low energy levels. It seems there is an epidemic of tiredness. I don’t know anyone that doesn’t want more energy. Low energy can also be dangerous. 20% of fatal car accidents involve driver fatigue. Many people brush off their fatigue as a “normal” part of getting older. You may know that I think “normal” is a setting on a dryer. The term “normal” in medicine is used to describe typical rate of decline of the average American. Who wants to be “normal” or “fine”? Let’s be fabulous! While fatigue is common, it’s certainly not biologically normal. This false assumption makes many people settle for feeling lousy and tired most of their lives. Fatigue can affect every aspect of your life: your family, friends, job and activities will suffer. Here are the 8 main causes of fatigue that I see in my clinic and Skype appointments. I’ve also included tips on how to resolve fatigue to become full of energy. Micronutrients are the vitamins and minerals that we need in small amounts from our diet so our bodies can make all the cells, chemicals and hormones we need, similar to the parts of a car. Macronutrients are fats, proteins and carbohydrates. They provide the energy for your cells to do the work to bless your life like the gasoline used to make the car go! One of the most common macronutrient deficiencies in the West is low fat consumption. Since the latter part of the 20th century, we have been on a fat free frenzy. In place of fats our food has been filled with refined carbohydrates, grains and sugars. Without the proper amount of fat you will feel hungry and be left with mood swings, irritability, weight loss resistance, and fatigue. But not all fat is created equal. When I refer to fat, I’m not talking about margarine or some other kind of bad fat. In my book, The Hormone Secret on page 119, I share some interesting facts about fat. For example, “Coconut oil is one of the main sources of medium-chain fatty acids in our food system and has been associated with a great deal of recent research showing its healing and anti-inflammatory properties”. Avocados, eggs, and, if you eat meat, grass-fed beef and wild-caught salmon, are all great forms of whole food fat for your energy! From a biochemical standpoint, your body’s best and slowest-burning form of energy is fat. Furthermore, your brain is made of 60% fat and 25% cholesterol, so nourishing that precious organ is the cornerstone to overcoming fatigue and feeling sharp. Less frequently, inadequate amounts of protein and carbohydrates will also contribute to low energy levels so make sure you are starting your day with protein and choosing carbohydrates from vegetables not breads. Our bodies are alive and functioning because of biochemistry. 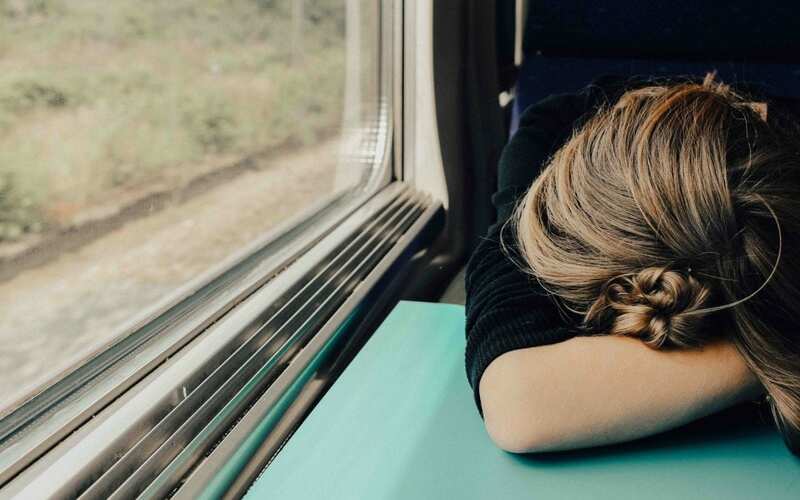 When we don’t nourish them with the specific nutritional requirements that make health possible, it can start with you feeling tired and lethargic. Some nutrient deficiencies that I see on a regular basis in patients that are fatigued are iron, vitamin D and vitamin B and magnesium deficiencies. Vitamin B is water soluble and stress eats it up leaving none left for our bodies to use. Using food as your iron source is the best option such as cooked greens or free range organic chicken liver (yes, liver really can be good for you and your mitochondria). I also recommend taking vitamin D, especially in the winter and a good B complex is a must for supporting adrenals and when life is stressful. Known as the “second brain,” your gastrointestinal system is essential and often overlooked factor in your energy levels. You don’t necessarily have to have noticeable gut symptoms to have an underlying chronic gut issue. Your gut-brain axis is a complex web of communication between these two vitally important systems when it comes to your energy levels. If your body is bogged down with conditions like leaky gut syndrome or intestinal bacterial overgrowth (SIBO) or just generalized imbalances in your gut bacteria (dysbiosis), it can drain your energy significantly. When these conditions are resolved, energy levels and vitality are restored back to normal. Interestingly enough, chronic gut dysfunctions are also linked to fatigue’s stubborn partner, weight loss resistance. The foods we eat are literally the instructions for all our cells and provide us with our energy. Our meals are either helping or hurting your energy levels; there’s no neutral food when it comes to your body’s function. It’s no secret that refined foods, excess carbohydrates and empty calories will negatively affect your health, and that will typically begin by draining your energy levels. Underlying intolerance to foods can be a significant energy drain. These are foods that you are not “allergic” to but rather your body creates a low grade inflammatory response when you eat them. The most common foods that create an inflammatory response are: gluten, dairy, corn, eggs, soy, peanuts and sugar. Some of these foods can be very good for you, like eggs. But they can create an negative response in some people when eaten. If you’re suffering from fatigue, start by eliminating the inflammatory foods in your diet for 4 weeks and then re-introduce one at a time and see how you feel. The word “toxin” has become ubiquitous in the health community. The reality is that our world today is inundated with substances that are toxic to our health. We are not genetically adapted to this onslaught of toxicity, and our energy levels are typically the first indicator that something is not right. Since the liver is your “fire wall” for your body and the hazardous waste system, it makes sense to do a liver cleanse twice per year to decrease the toxic load that builds in our bodies. We will be launching another Get Glowing Liver Cleanse this fall before the holidays to get tuned up with a private facebook group and live Q and A with me. Mark your calendars for October so start now if this is a good time with my Get Glowing Liver Kit. Our body’s different systems communicate through an intelligent web of hormonal pathways. A properly functioning hormonal system is essential for your energy levels. Two relatively common hormonal pathway dysfunctions that I find in people who are struggling with low energy levels are hypothalamic-pituitary-adrenal dysfunction (adrenal fatigue) and low thyroid function. Make sure you have taken my hormone quiz and receive the free handbook on how to boost the function without medication. Every pharmaceutical drug has side effects and one of the most common side effects that I see is fatigue. Common medications given for blood pressure, cholesterol, pain, diabetes, acid reflux and depression can all cause chronic fatigue. It amazes me how little people know about the side effects of the drugs they take every day. If your medication is causing or adding to your fatigue, discuss with your doctor about what other options you have. There may be options to lower your dose of even get off some prescriptions as your health improves. Sure, this sounds like an obvious one! Sleep disorders like insomnia and sleep apnea affects millions of people around the world with very little options in the mainstream model of care. Dealing with the underlying issues that are causing the sleep disorder is essential to restore your energy levels. Please ensure you do not have sleep apnea by requesting a sleep study if you snore loudly at night. For mild insomnia, melatonin prolonged release and Cortisol Manager works wonders. One of the main reasons I see causing sleep disturbances in my clinic is the inability to turn off the brain. The sympathetic nervous system is on auto-pilot for our go-go 24/7 life. Breathing exercises or listening to alpha/theta brain beat meditation like is found in the holosync can turn off your stress and allow your body to drift into rejuvenative sleep. Obviously this isn’t a complete list of everything that could be causing low energy but I hope it blesses you and helps you gain some of your Vitality. In my practice we see patients from all over the country creating individualized and customized health programmes that are tailored to exactly what you need. I find the one size fits all approach of traditional medicine leaves many of not able to reach our best health and energy. If you have lingering issues with fatigue or other health concerns please hit “reply” or call us at 877-8-VITALITY to find out about our Health Membership options to help your look, feel and function your best. It’s your Health, It’s your Journey and it’s YOUR TURN. I am blessed to help you along the way.